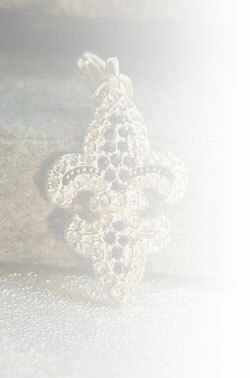 18kt gold triple layered 3/4" purple & gold Swarovski fleur de lis charm to hang from necklace, chain or charm bracelet. It doesn't get prettier than this! Click here to view our matching Purple Fleur Necklace and Earrings.